Wade's world: "I'm not sure the government have it in them"
"I'm not sure the government have it in them"
On the wall of Karyn McCluskey’s office is a photograph. It shows a man of about 30, his head oozing blood and his body slashed with ugly knife wounds. Almost out of frame, a doctor is trying to help, but above the medic's outstretched hand, a livid tattoo cries out his patient’s defiance: “Only God Can Judge Me”. A brutal portrayal of gang culture? McCluskey grins. “That image epitomises Glasgow to me,” she says. “I had it framed but people still ask me why I have it the office. I am very unusual." She is unusual not least because of her sudden notoriety. In the wake of three nights of rioting in English cities, an anti-gang regime pioneered by McCluskey and her colleague John Carnachan, of Strathclyde police, has been singled out by David Cameron as a model of success in combating street violence. The Community Initiative to Reduce Violence (CIRV, pronounced “serve”), has exposed 400 gang members to psychological shock therapy to jolt them out of lives of gang crime. In three years, the offending rate among participants has dropped by 46% and even among gang members who have resisted, offences have fallen by a quarter. McCluskey, garrulous and confiding, in defiance of the police stereotype, appears oblivious to prime ministerial praise. On the contrary, she applauds Ian Duncan Smith, who declared this week that the country “cannot arrest its way” out of social breakdown, and she dismissess Cameron’s notion that the riots in England were “criminality pure and simple”. She says: “You cannot just look at enforcement. For me, this is Cameron’s problem. For McCluskey, the roots of gang violence lie insidde chaotic homes in places such as Ruchazie and Easterhouse, vast, ugly housing schemes where Glasgow’s gang culture has been endemic for the 60 years. Here, she says, young children are cut adrift from opportunity as soon as they are born. “When I speak to kids and they aspire to nothing, I think that is the most crimnal. thing of all. I say, ‘What did you want to be when you were in primary shool?’ They can’t tell me. No astronauts. nothing. McCluskey, from Falkirk, is a very singular police officer. A lone parent, she has no partner and admits getting pregnant “wasn’t in my career plan.” She is hugely proud of her 11-year-old daughter. Off duty, she’s training for a half ironman, the most punishing of events, and giggles when she describes the masochistic training regime. She’s been knocked off her bike seven times by white van man and deplores attending the gym because of “all those perfect women looking calm and composed and me sweating like a badger”. 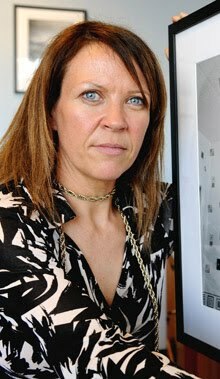 A forensic psychology graduate steeped in US and Scandinavian anti-violence theory, she arrived in Glasgow in 2002, after serving as head of intelligence for the West Mercia force. The difference in environment would have been laughable had it not been so tragic: from the Porsetshire of the Archers to Taggart's Glasgow. These days, with John Carnochan, she is co-director of Strathclyde’s Violence Reduction Unit, formed in 2004 in the wake of her report. The unit was quickly in the forefront of campaigns against knives and alcohol, but soon afterwards she had a second eureka moment. At a violent crime summit in Boston, she met David Kennedy, the Harvard criminologist who pioneered Operation Ceasefire an initiative that used shock tactics against gang members to combat a soaring murder rate. CIRV's success is built on a simplest of scenarios, known as a call-in. As many as 200 young men are dragooned into court and lined up to face representatives of communities they have terrorised. Then, under the strict regime of the presiding sheriff, they are harangued by senior police officers, doctors, and convicted murderers before they are finally presented with stark ultimatum. Reform, or your life will be hell. If they sign a pledge to renounce violence, the men are offered help from social services and community groups. The call-ins begin with short contribution from the chief constable. As CCTV images of the offenders flash around the court-room wall, he tells the young men that he knows where they live; that he can arrest them any time he likes; that they will all be hunted down if a single one of them commits another offence. The witnesses keep coming. A doctor describes the kinds of injuries he has treated, and the condition of the kids who have died. A convicted murderer describes the reality of prison. He asks them, “Who do you think will come to visit you in prison?”. He adds that within ten days of incarceration, a young offender’s best mate will be sleeping with his girl. How does she react? “I’m sobbing too,” she says. “If you stopped being moved by this, then you need to go. I am zealot about his. It’s a big part of my life. John and I are relentless." If it sounds like a story of unbounded hope, it is not, and McCluskey acknowledges as much. After seven years of the VRU, still, every six hours in Glasgow, someone receives a grievous knife injury. And, after falling to 41 in 2010, the murder rate had risen to 59 this summer, when the latest annual statistics were issued. In 2009, Strathclyde Police area, containing 43% of the population, had 55% of Scotland’s murders. Glasgow’s old, unwanted title, “the murder capital of Europe” is hard to shake off. Locally and nationally, politicians will have to be “brave, resilient and aspirational” warns McCluskey. The national prognosis is not good. “I’m not sure the government have it in them yet,” says McCluskey. “The bravery might be wavering a bit and the resilience is important - you can’t do it overnight. It has to go beyond the political imperative, the four-year government.